See the dazzling modern Japanese culture of today! With a population of more than 126 million people, Japan is a country which not only boasts a long rich history, but it also has a lively and dynamic creative industry that attracts fans worldwide. Here in Japan you may take a journey through the minds of great “manga” artists, to see how these amazing stories and artworks are created. 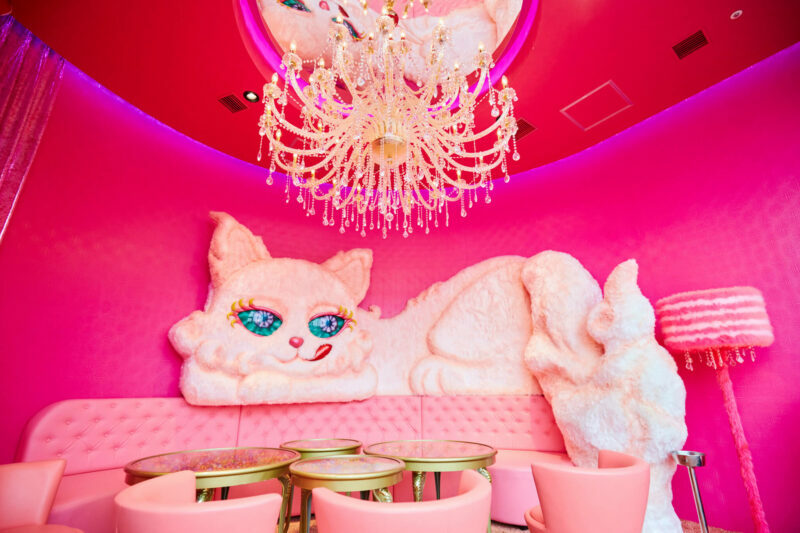 Or you could see the eye-catching fashions and colorful street art of the Harajuku area. If you’re interested in modern art and artists in Japan, there are also plenty of museums and even a triennale art festival that spans across many islands in Japan's beautiful Seto Inland Sea. Quickly developing and becoming commercialized after WWII, “manga,” or Japanese comics, are popular among people of all ages. The medium includes works in a broad range of topics and genres such as action, adventure, business, comedy, detective, romance, mystery, science fiction and sports, among others. Many popular manga are adapted into anime, TV dramas and even Hollywood movies. Sometimes some classic works have even adapted into other mediums multiple times. The most recent examples include Ghost in the Shell and Battle Angel Alita. Read these comics and you may not only find yourself immersed in the worlds of manga, but also learn about Japanese history and culture through these wonderful works. trending_upCatch Up with the Latest Trend! Come to Japan to experience the latest fashions and see what young people today are talking about! Being a pop culture hub, Japan is always full of all kinds of fun activities to do and weird things to see. Be it quirky vintage clothes, more traditional upmarket fashion, or even cosplay costumes, you will surely find something that sparks your fashion interests here. Visit Japan and become the next trendsetter with all the inspirations you may find! 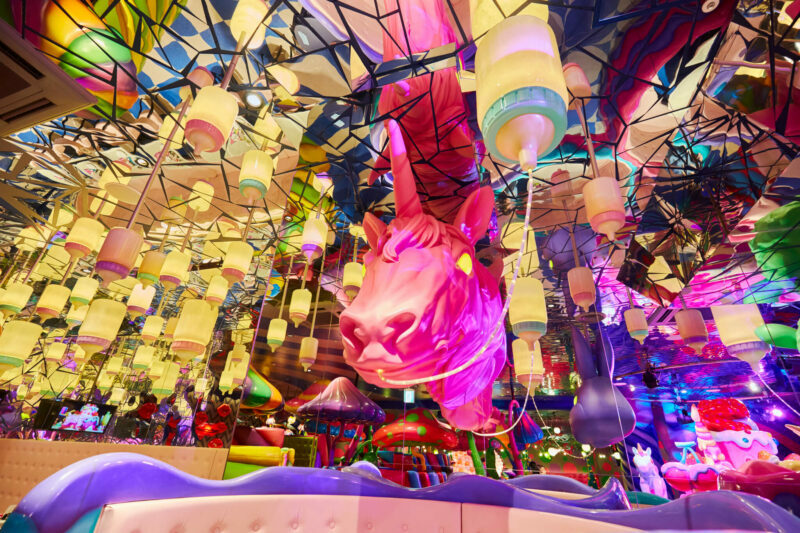 Japan has a very dynamic artist community, giving rise to many world-famous contemporary artists including Yayoi Kusama, Yoshimoto Nara and Takashi Murakami. Japan has also become one of the most popular artist hubs in East Asia, with contemporary arts museum, artist residencies and artist villages bolstering international communication and cooperation among artists. Some of these venues promoting contemporary art include the 21st Century Museum in Kanazawa, Mori Art Museum in Tokyo, and the Setouchi Triennale that is held every three years on the islands of the Seto Inland Sea. It’s almost impossible to understand modern day Japanese culture without reading or knowing at least one or two manga and anime. From high school life, sports competition, romantic love stories, to alien invasions, these mediums have genres for almost everything. Manga and anime can be fun and entertaining, but they can also contain complicated concepts and controversial social issues, making them more than just a pastime. Indeed, they are a good way to learn about the country and the culture. The industry has already successfully spread aspects of Japanese culture around the world through manga and anime. If you are a fan, you definitely can’t miss out on the opportunity to visit the home of manga, Japan! Founded by the world-renowned animators Hayao Miyazaki and the late Isao Takahata, Studio Ghibli is one of the most prestigious animation film studios in Japan. It produces a new high-quality, heart-warming and sincere animationed film almost every year. The Ghibli Museum located in Mitaka, Tokyo is a museum presenting artwork from, and the animation process of, Studio Ghibili’s works. Here you can learn about the history of the studio, explore the secrets behind the screen and even meet some of your favorite characters! The museum is a family-friendly space with a small theater screening short films produced by the studio. 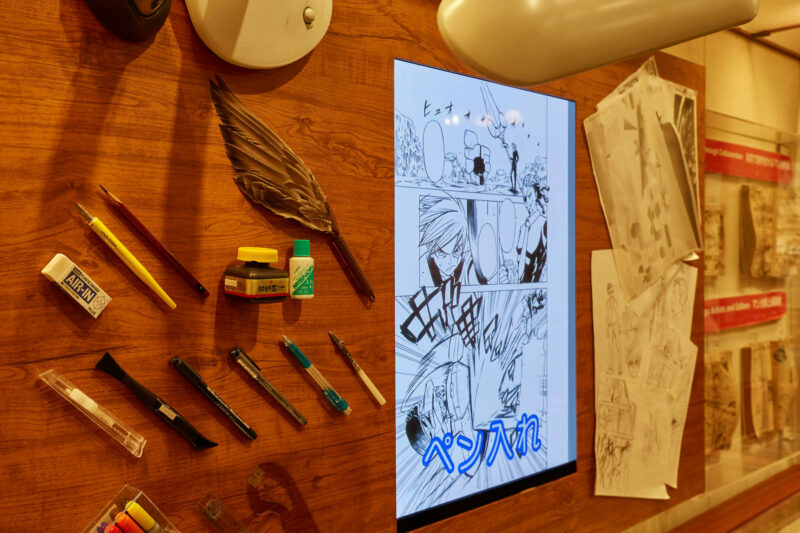 A series of exhibits that replicate the animators’ workspaces reveal their secrets for inspiration and their working processes. What’s more, here you get to meet the giant robot from Castle in the Sky, little soot balls from My Neighbor Totoro, the mystical creatures from Spirited Away, as well as many more fascinating characters created by the studio! Often hailed as both “the father of manga” and “the god of manga,” Osamu Tezuka was the Japanese equivalent of Walt Disney. He created beautiful works that are popular with children and adults alike. While Tezuka’s popular early manga works and animations are child-oriented, his later works are more literary and artistic. Some of his most famous and popular works include Black Jack, Astro Boy, Princess Knight and Phoenix. Built in loving memory of Osamu Tezuka and the many amazing works he brought to us, The Osamu Tezuka Manga Museum opened in 1994. 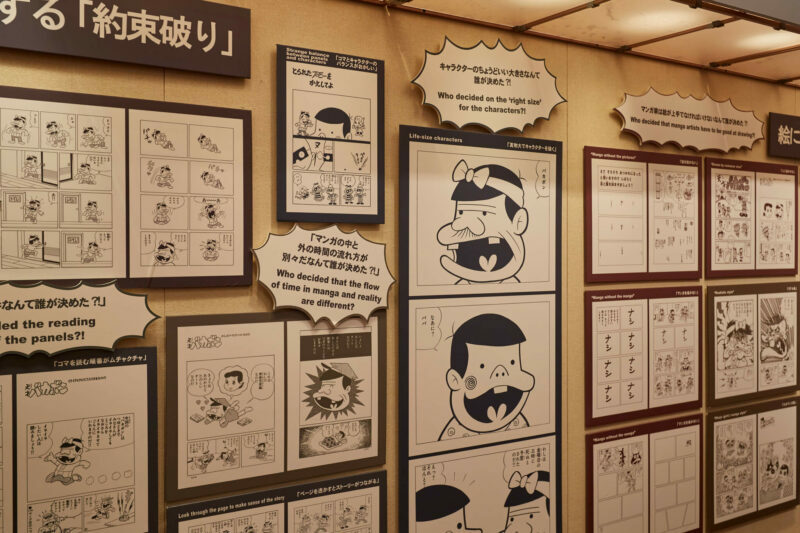 Take a stroll through the museum to see the wonderful worlds created by the great artist Tezuka as well as some of his manuscripts, mini films, and a replica of his desk. 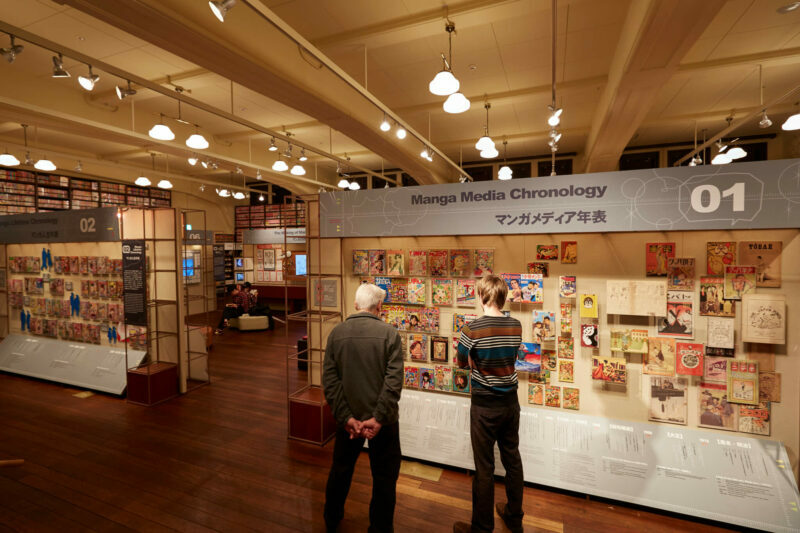 Enjoy manga at the Kyoto International Manga Museum with all of your five senses! The museum offers all kinds of fun activities to enjoy. Here you can do more than just reading. You can catch the latest manga exhibition, learn the history of manga, listen to the live story-telling show, have your portrait drawn manga-style, and even create your own manga!The museum also has research department and several exhibition spaces within its buildings, and regularly invites professional manga artists to share their trade secrets with the visitors. Want to see a manga artist at work? Then Kyoto International Manga Museum sure is the place to go. Formerly an elementary school, Kyoto International Manga opened in 2006. The museum holds a collection of more than 300,000 comic books and entertains visitors from home and abroad. 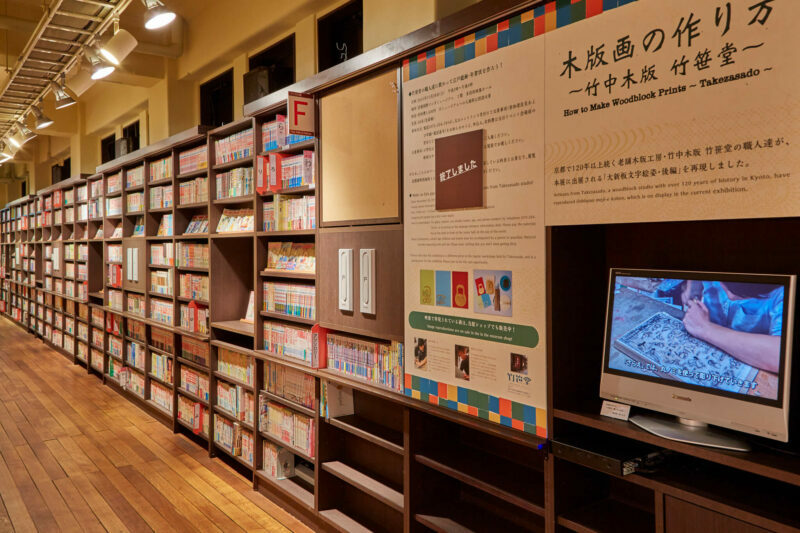 The volume of collection is so huge that the 140-meter-long bookshelf is nicknamed “The Wall of Manga." Japan is a paradise for the fashion lover. Integrating the western culture and the traditional Japanese clothing patterns and styles, you can definitely find the most interesting as well as stunning pieces of clothing here. The street fashion on the city streets is also fascinating and a definite feast for the eyes. 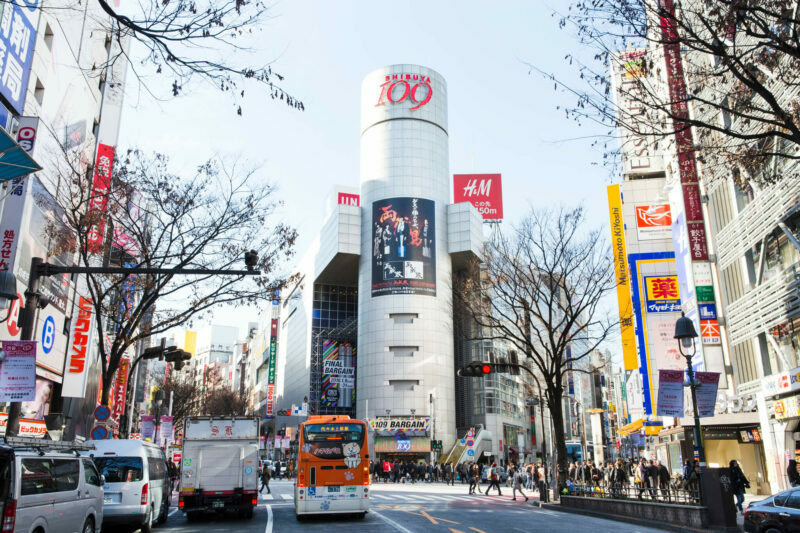 The Harajuku and Shibuya areas are the best places for young people and fashion lovers. Renowned for its colorful street art and fashion, here in Harajuku you can find all kinds of styles. From the hipster fashion, to quirky vintage clothes, to cosplay costume shops, there’s nothing you can’t find here. Small bars, restaurants and trendy cafes line the surrounding lanes. Want to spend a day shopping and enjoying delicious food, or simply just want to know what all the young people are are up to and fascinated with in Japan? Then you must come to Harajuku and Shibuya. What’s more Shibuya’s famous and incredibly crowded scramble crossing is also a must-see! 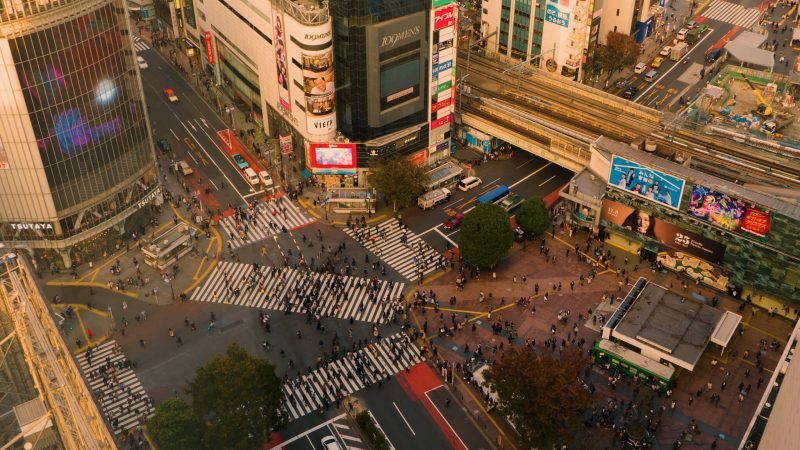 During a break of your shopping adventures, stop by the busiest crossing in the world at Shibuya. When the lights turn green a sea of people begins to surge forward from all directions, the sheer number of people as well as how orderly they are will ceratinly amaze you! With famous artists like Yayoi Kusama, Takashi Murakami, and Mariko Mori, Japan has played an important role on the world stage of contemporary Art. Japan has also long provided many different types of art venues and events including museums, art festivals and artist villages, and hence has become one of the most popular artist hubs in East Asia. 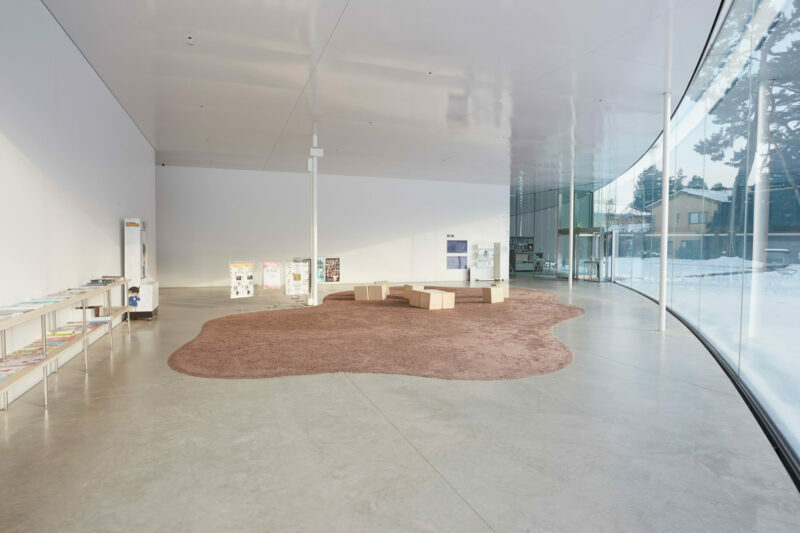 The 21st Century Museum of Contemporary Arts in Kanazawa prides itself with easily accessible spaces and installations that respond and interact with the local community. In Tokyo, Mori Art Museum is focused on introducing international artists’ works with its regular exhibitions. On the islands across the Seto Inland Sea, an immense art festival takes place every three years, attracting world-renowned artists and tourists alike. 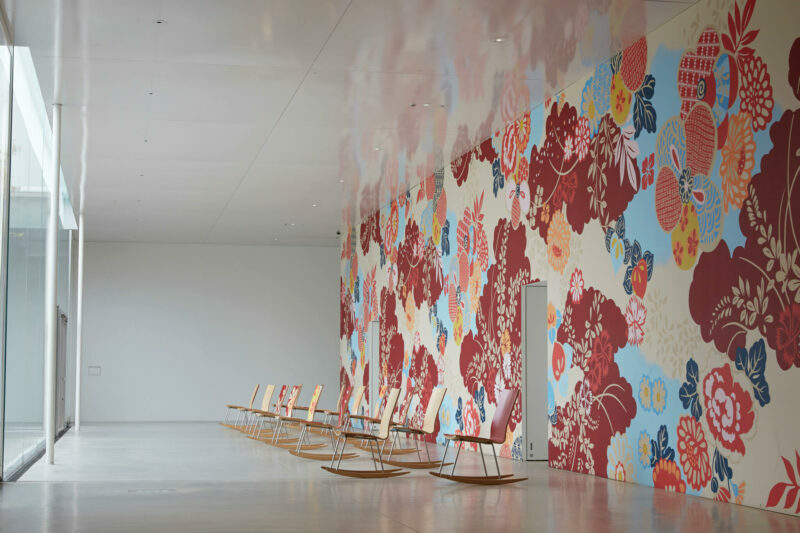 Located in Kanazawa, Ishikawa, the 21st Century Museum of Contemporary Arts is famous not only for its art collection, its award-winning architectural design also attracts tourists and art-lovers from home and abroad. The circular form, the transparent appearance and the multiple entries make the museum easily accessible. 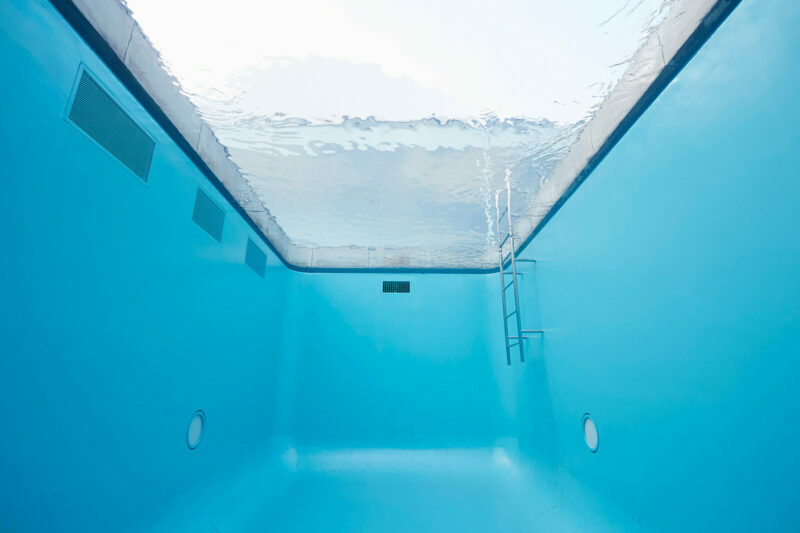 Being one of the most popular and famous installations in the 21st Century Museum of Contemporary Arts, The Swimming Pool encourages people to be more than just viewers and interact with the installation as well as other viewers. It gives visitors a magical experience, no matter if they are above, or below the water. Artists in the collection are encouraged to produce site-specific installations that promote new values as well as relate to the Kanazawa area. Artists in the collection are encouraged to produce site-specific installations that promote new values as well as relate to the Kanazawa area. Mori Art Museum is dedicated to introducing excellent artists and their artworks from around the world. Come here anytime and you may find a wonderful art treat to please the eyes and the mind. The interior architecture itself is also an outstanding design created by Richard Gluckman. The view from the observation deck Tokyo Sky View just below Mori Art Museum is also a place you just can’t miss. The view from up there is absolutely stunning! 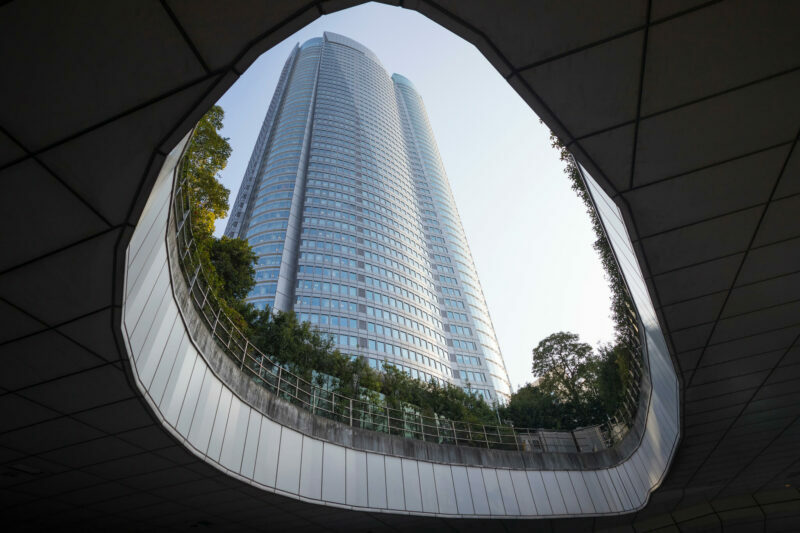 Mori Art Museum is a contemporary art museum in the Roppongi Hills Mori Tower founded by Minoru Mori, a real estate developer. Mori Art Museum doesn’t exhibit a permanent collection, but is famous for holding temporary exhibitions of works by world-renowned contemporary artists. The museum is dedicated to keeping up with the latest trends of contemporary art worldwide. Artists whose work has been exhibited here include Ai Weiwei, Tokujin Yoshioka and Bill Viola. 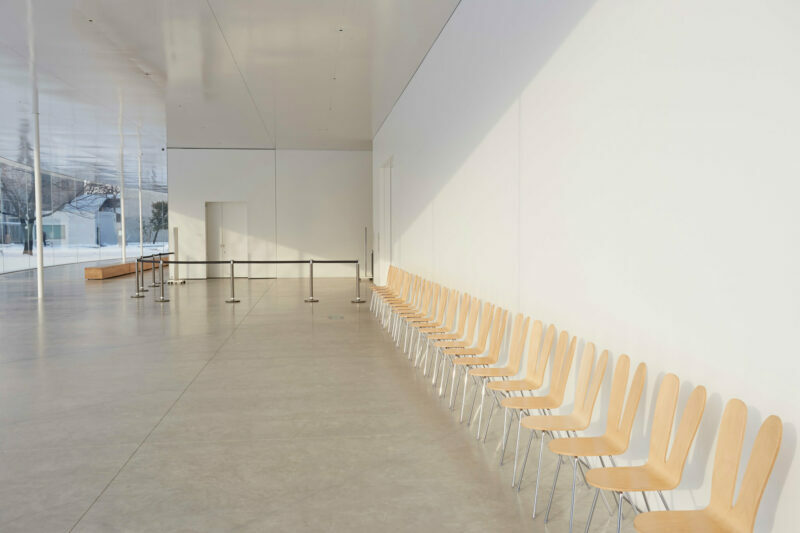 The National Art Center Tokyo has established itself as one of the country's most important art spaces. Spread across the Seto Inland Sea are several beautiful islands that host Setouchi Triennale, a world-famous contemporary art festival held every three years. Dotted with art projects by world-class artists and architects such as Tadao Ando, Yayoi Kusama and Lee Yufan, these rejuvenated islands have become a wonderful and tranquil paradise for both artists and local people. Don’t worry if you can’t catch the event because almost all of the artworks remain on the islands after each triennale. Come over to the Seto Inland Sea to experience the harmony among the artists, the local people, the artworks and the nature. 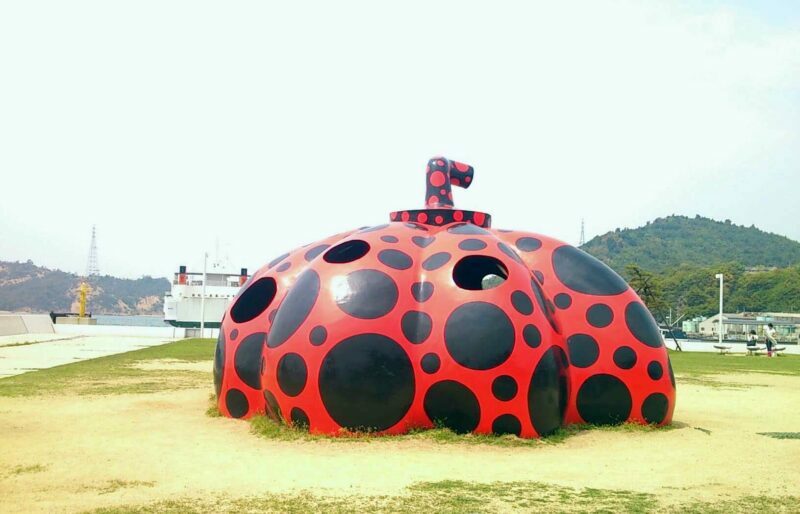 Naoshima is the main island where the Setouchi Triennale takes place. Once an almost deserted island, Naoshima has been reinvented to become a friendly place for artists from around the world. Now, tourists and local people alike can enjoy artworks created by numerous world-renowned artists on the Naoshima island. Teshima is located in Setouchi Island Sea. 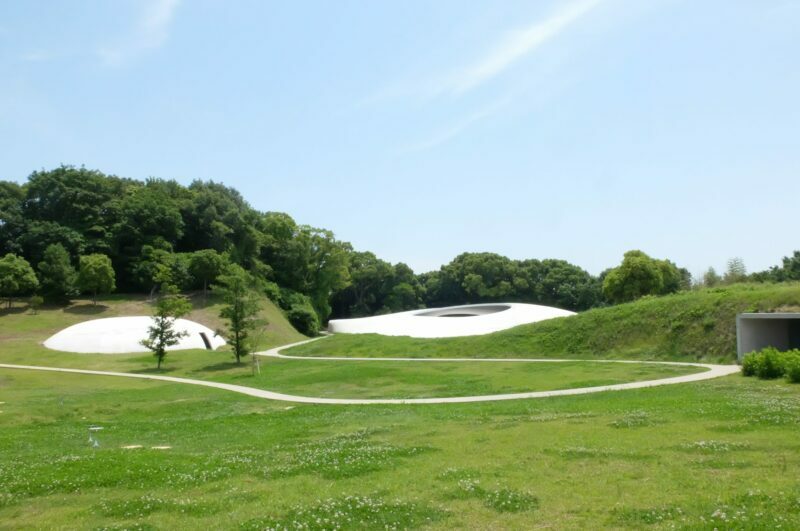 You can see impressive integration of nature and architecture in Teshima Art Museum, represenataion of the island.